Hello, & welcome to CASEing the Catty blog hop. This week we are CASEing the babies & kids section on pages 56-65 of the 2016-2017 Annual catalogue. I had a little trouble deciding what to CASE so I have chosen to do a swap CASE. By that I mean I CASEd the fox card using the bear & the bear using the fox card. So, if I haven't totally confused you I will show you what I mean. 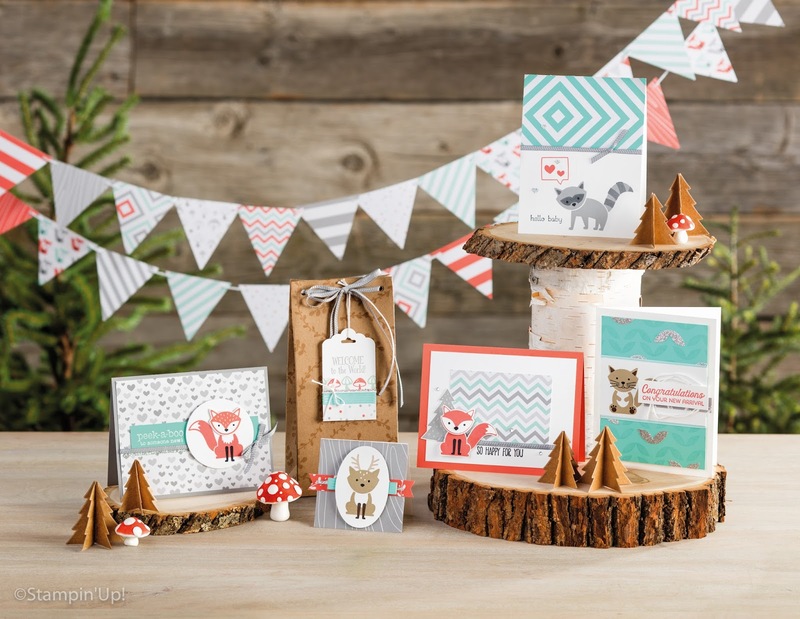 I have CASED the fox card on the left of this photo & used baby bear stamped in greys to match A Little Foxy DSP. I have also used Badges & Banners stamp set with the new Duet Banner punch for the baby sentiment. 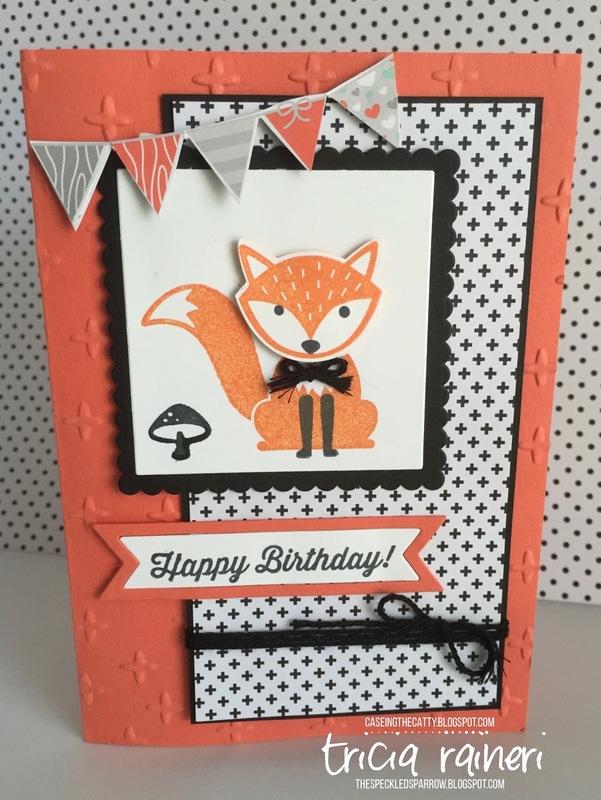 Then I CASED the baby bear card on page 61 using the Foxy bundle. 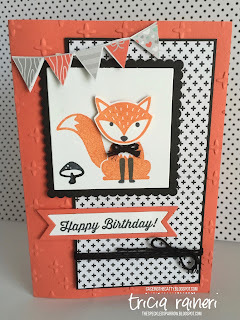 I used the Layering Squares framelits on this fox card as I felt the square was too plain. I pulled the cross element from the Pop Of Pink DSP & used the new Sparkle embossing folder as a subtle element behind Mr. Fox. The little banners are snipped out of A Little Foxy Dsp. I hope I have inspired you to pick up your catalogue & CASE something today, it's fun! To continue the hop click the links below to either go forwards or backwards. Next up is Monique @ Stamping With MoniQ. If you would like to join our challenge click the link below to be redirected to the page where you can add your own project.